Anxiety disorders are a diverse group of mental health illnesses which cause you to feel an overabundance of stress. When you have an anxiety disorder, your body develops an exaggerated response to the things around you. This can cause you to react more strongly to everyday situations, making you irritable, jumpy, or even physically sick. 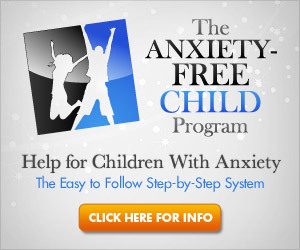 Sadly, children and adolescents can develop anxiety disorders, as well. When a child or teen has asthma, he or she may experience any number of asthma attacks, which can be scary and disruptive. A recent study of children and adolescents who have been diagnosed with asthma showed that when combined with a mental health condition, asthma may actually be worse. Children and teenaged participants in the study were observed to see how often they experienced an asthma attack. Surprisingly, the researchers found that the attacks were more severe and more frequent in the group of participants who also suffered from anxiety. The children and teens who had asthma and depression were similarly shown to have more frequent symptoms. You can find out more about the study and how your mental health can have an effect on your physical health by following the link provided below. This really isn’t surprising. Asthma can often be triggered by anxiety and as you have more difficulty breathing, anxiety levels go up. It only stands to reason that these two things would be inter-connected like that. I agree. When I was diagnosed with asthma, the doctor told me that emotional situations could trigger an attack. For me, I have learned that it may not trigger one, but it definitely makes an attack worse. Stress makes almost everything worse, and at the very least, more difficult to cope with effectively.